CHENNAI: Did you know that the sub Rs.1,500 `Made in China’ MP3 player could be used just as effectively as the ipod Nano for recording interviews and creating audio podcasts? Or that a Rs.150 telephone adapter could be used for recording phone conversations on the PC? 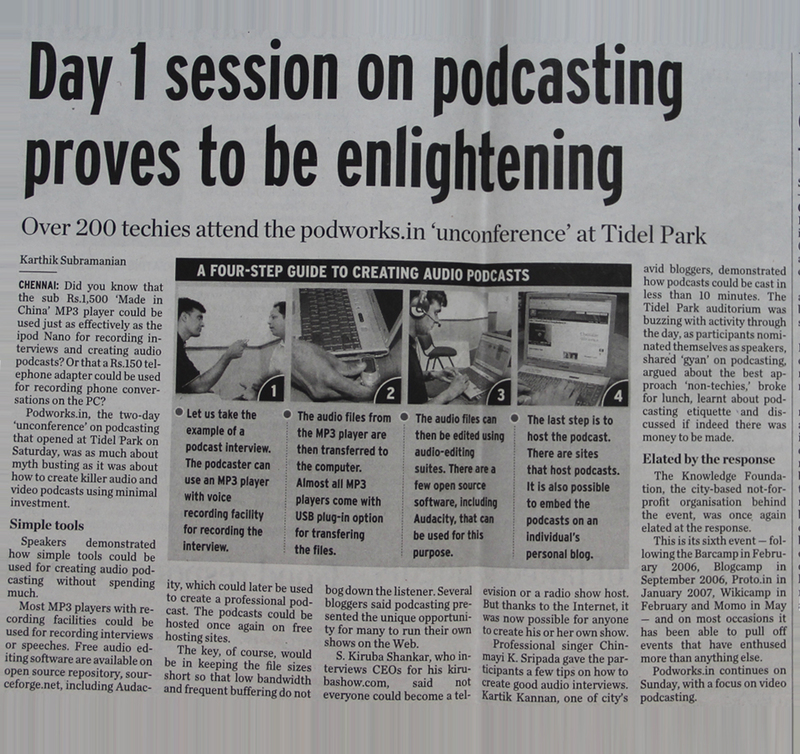 Podworks.in, the two-day `unconference’ on podcasting that opened at Tidel Park on Saturday, was as much about myth busting as it was about how to create killer audio and video podcasts using minimal investment. Speakers demonstrated how simple tools could be used for creating audio podcasting without spending much. Most MP3 players with recording facilities could be used for recording interviews or speeches. Free audio editing software are available on open source repository, sourceforge.net, including Audacity, which could later be used to create a professional podcast. The podcasts could be hosted once again on free hosting sites. The key, of course, would be in keeping the file sizes short so that low bandwidth and frequent buffering do not bog down the listener. Several bloggers said podcasting presented the unique opportunity for many to run their own shows on the Web. S. Kiruba Shankar, who interviews CEOs for his kirubashow.com, said not everyone could become a television or a radio show host. But thanks to the Internet, it was now possible for anyone to create his or her own show. Professional singer Chinmayi K. Sripada gave the participants a few tips on how to create good audio interviews. 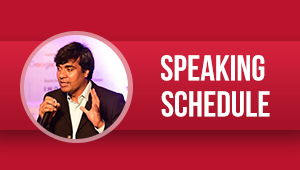 Kartik Kannan, one of city’s avid bloggers, demonstrated how podcasts could be cast in less than 10 minutes. The Tidel Park auditorium was buzzing with activity through the day, as participants nominated themselves as speakers, shared `gyan’ on podcasting, argued about the best approach `non-techies,’ broke for lunch, learnt about podcasting etiquette and discussed if indeed there was money to be made. The Knowledge Foundation, the city-based not-for-profit organisation behind the event, was once again elated at the response. This is its sixth event following the Barcamp in February 2006, Blogcamp in September 2006, Proto.in in January 2007, Wikicamp in February and Momo in May and on most occasions it has been able to pull off events that have enthused more than anything else. Podworks.in continues on Sunday, with a focus on video podcasting.